Hard case set includes book, deck; Like new in original packaging; Deck never used. Out of print. 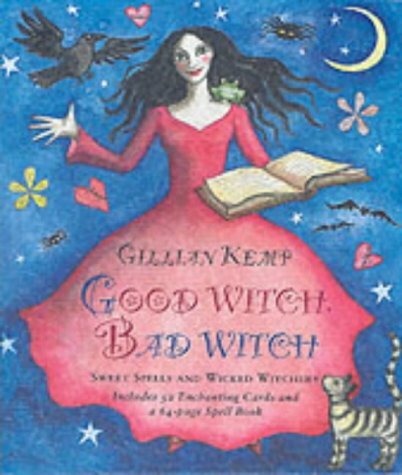 With this beguiling set of 52 cards and book by Gillian Kemp, you can revel in delicious devilment against your enemies, or weave good white magic around you and your loved ones. There are two suits of cards: 26 Good Witches and 26 Bad Witches. Simply shuffle and lay them like tarot cards, then look up the prediction in the book and cast the spell. All you need is this charming kit and a little hocus-pocus. *Includes a full-colour book and 52 illustrated cards, each showing a magical witch. *Full interpretations for every card, plus how to read them.